I can’t believe it – the holiday season has snuck up on us already! If you are like me, I love giving gifts that are naturally based, gifts that inspire and gifts that give back. This month’s ultimate gift guide will certainly help you pick out the ideal present for that special someone on your list. We have also loaded our holiday edition with delicious recipes that will please any party. 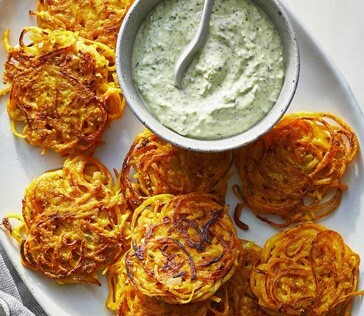 From healthy latkes to a chocolate peppermint smoothie, you will not be able to resist. We have so much planned for the 2019 year that we cannot wait to share. But for now, from my team and I, we wish you a holiday season filled with love, joy and health. 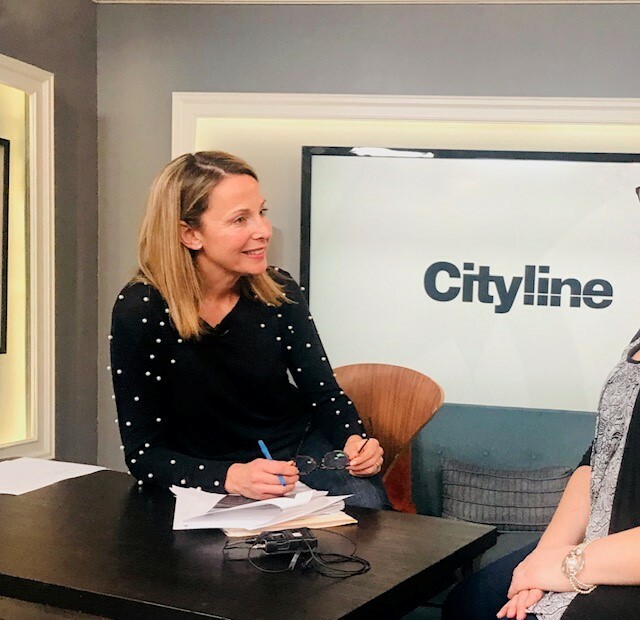 We went from 2000 applications to 60 interviews and have now picked 3 finalists to join the Cityline Weight Loss challenge – year #9! For everyone who applied, and everyone who came out for the interview, we want to say thank you! We loved hearing all of your stories and hope you join us as we kick off another fabulous year. Tune into www.cityline.tv the second week in January to see what we have in store. At Shulman Weight Loss we love teachers and are so blessed to have so many of them as clients. In order to say thank you for all that teachers do, December is our “teacher month”. 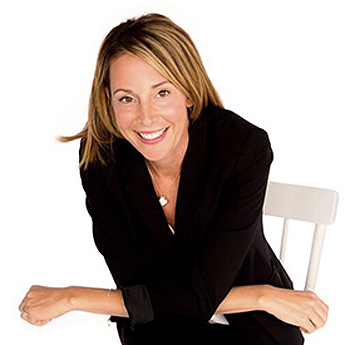 All teachers will receive 10% of any program at all 3 Shulman Weight Loss clinics. Congratulations to Janice who lost 30 pounds at Shulman Weight Loss. 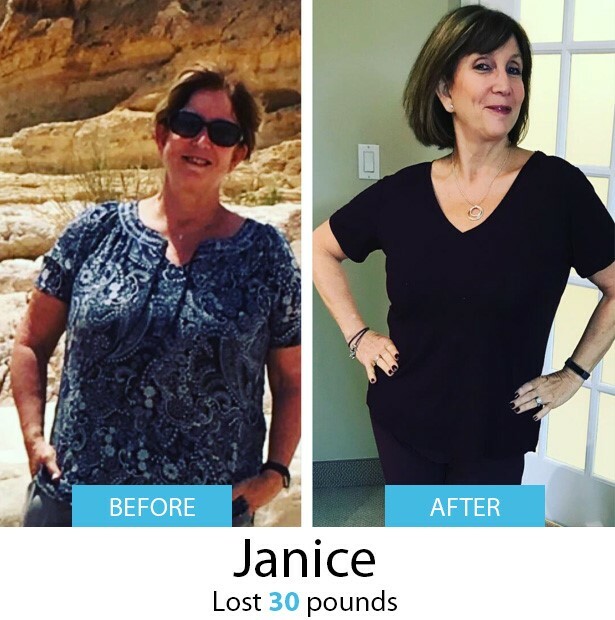 You are looking amazing Janice – two thumbs way up! This is the perfect gift for anyone on your list who is a skin care junkie! This kit contains a combination of natural skin care products that help rescue dry, dehydrated and damaged skin. 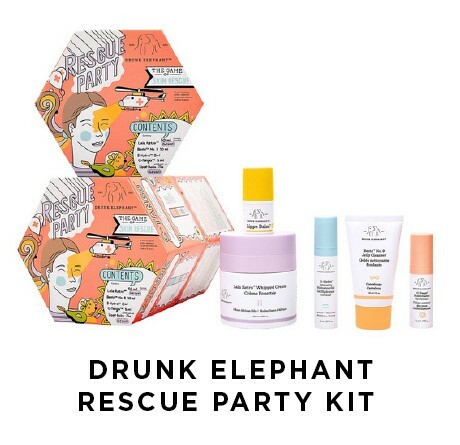 The rescue party kit includes a whipped face cream, a jelly cleanser, an intensive hydration serum, a multivitamin eye cream and a decadent lip balm. To top it all off Drunk Elephant is committed to making products that are free from all those harsh chemicals, alcohol, silicones, fragrances and dyes. 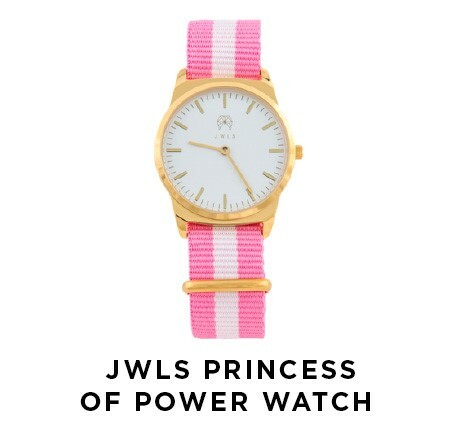 This stylish watch by JWLS is the perfect gift for any fashionista on your list. Its simple and clean white dial is combined with a nylon pink and white band that is bright and fun. JWLS also donates a portion of all proceeds to cystic fibrosis research as well as supporting individuals and their loved ones who are fighting this disease. The perfect gift that also gives back. 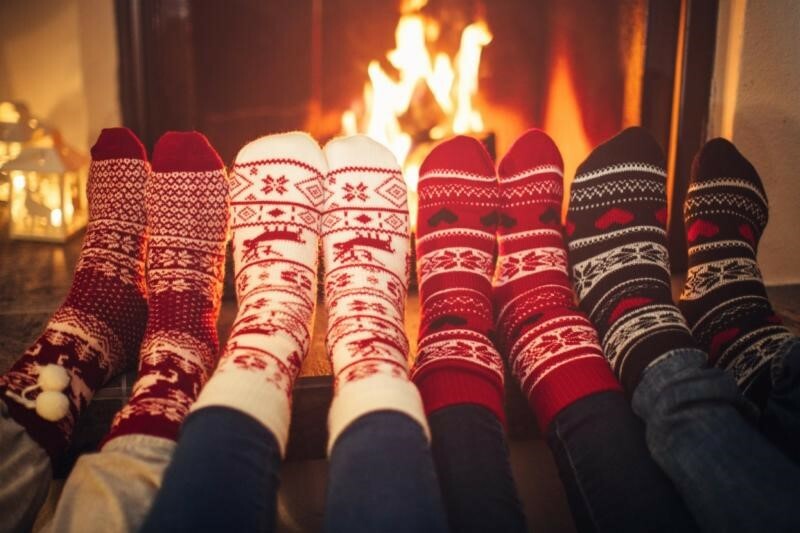 With the cold weather quickly approaching, the need for cozy items inches higher up on our list of necessities. 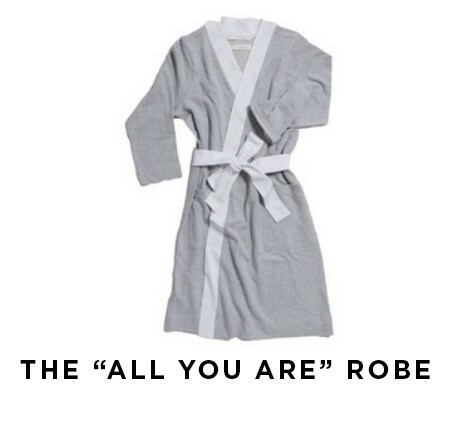 The “All You Are” robe is quite literally the best robe you will ever own- making it a great gift for anyone on your list. This chic, comfortable robe is made with 100% cotton French terry material, making it extremely soft and cozy. Throw it on after a shower or cozy up in it with a hot cup of tea on the weekends. 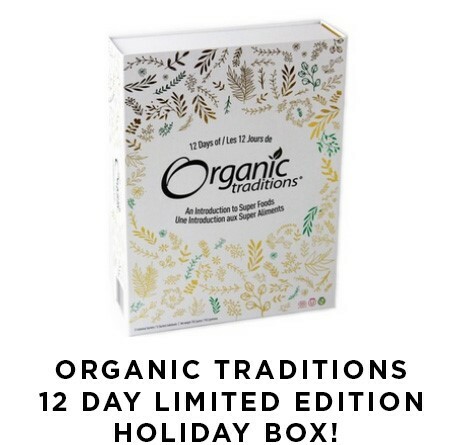 This cleaver holiday box by Organic Traditions puts a fun spin on everyone’s favourite holiday tradition - the advent calendar. Inside you will find 12 powerhouse super foods, along with a booklet that outlines tips and tricks on how to use them. 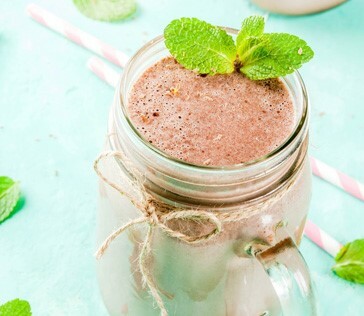 Add all ingredients, except mint leaves, into blender and blend on high for 30 seconds to a minute until smooth and creamy. Top with fresh mint leaves before drinking. 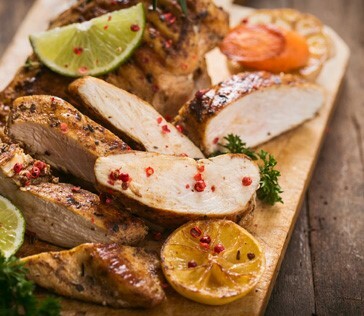 Place the chicken on a cutting board and pat it dry with paper towels. Drizzle the oil on the chicken and rub it all over the skin. Season with sea salt and pepper. Place the lemon and herbs inside the cavity. Place the chicken breast-side up in a large frying pan or cast-iron skillet. Roast the chicken in the oven for 15 minutes on the middle rack. Reduce the temperature to 375°F and continue roasting for about an hour (until the juices run clear). Remove the chicken from the oven and place on a cutting board. Let it rest about 15 to 20 minutes before carving. Wash carrots well and cut the tops off. Place onto baking sheet lined with parchment paper. 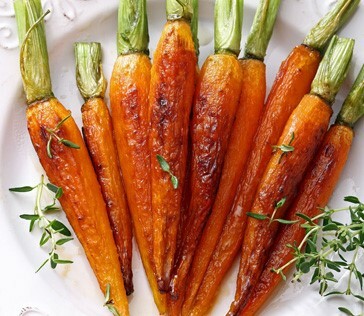 Coat carrots with olive oil and top with garlic. Season with sea salt. Place into oven and bake for 40-50 minutes, until carrots are soft (fork easily goes into them). In a large bowl, combine almond flour, baking soda, sea salt, coconut oil and maple syrup until dough begins to form. 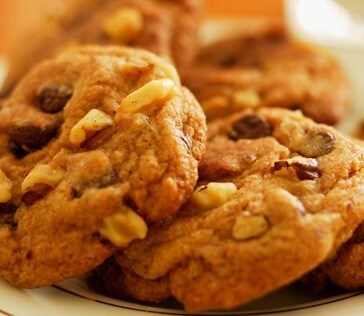 Fold in chocolate chips and crushed walnuts. Form cookies and place onto baking sheet lined with parchment paper. Bake for 15-20 minutes, remove from oven and allow to cool. Melt 1 tablespoon of butter in a medium non-stick skillet over medium-high heat. Add the squash and sauté until lighter in color and soft, but not turning too much, about 5 minutes. Remove from the heat and cool. In a medium mixing bowl, stir together the squash and egg. Add the remaining ingredients and stir to combine. Coat a large cast iron skillet with a generous layer of olive or canola oil, and set it over high heat. Test the heat with the first latke: add a tablespoon full of batter to the pan. The latke should immediately sizzle and firm. Cook for one minute on each side. Remove to a plate with paper towels. Repeat with the remaining batter, making sure not to crowd the pan. Mix cilantro and yogurt together – enjoy on side for dipping sauce. This book is a must read so get ready to curl up by the fire and dive in! This beautifully illustrated book from Cleo Wade offers creative inspiration and life lessons through poetry, mantras, and affirmations. A truly inspiring, accessible, and spiritual book of wisdom. 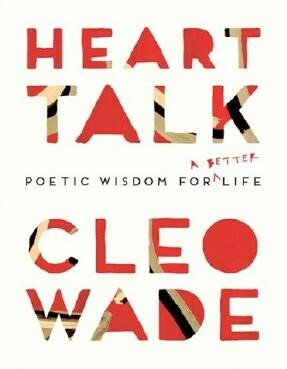 With relatable, practical, and digestible advice, Heart Talk is a great book to keepby your bedside table or in your bag for an empowering boost of spiritual adrenaline that can help you discover and unlock what is blocking you from thriving emotionally and spiritually. Warm water with lemon– Start each day with a wedge of lemon squeezed into a warm cup of water. Lemon has a natural detoxifying effect. Get to bed early!– Sleep is essential for the body to repair and restore. Try to sleep in a completely dark, cool room at night. Take a probiotic– Supplement with a daily probiotic and incorporate probiotic rich foods such as miso, kimchi, kombucha, or sauerkraut. Probiotics have been shown to reduce the risk of gastrointestinal and respiratory infections. Ginger –Along with making your tea taste delicious, ginger also has natural immune boosting qualities. Wash your hands!– Continuously wash your hands to eliminate the risk of picking up and spreading germs. 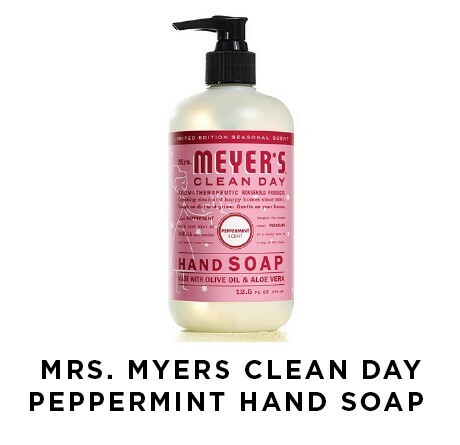 Consider carrying a natural hand sanitizer in your purse (available at most health food stores). Boost your daily vitamin C– Boost your immune system with a daily dose of vitamin C. Keep a packet of Emergen-C on hand or have a chewable vitamin C daily for maximum benefit daily. I try to pack as much as I can into my morning water. To get a whack of immune goodness in your water, click here to find out more.